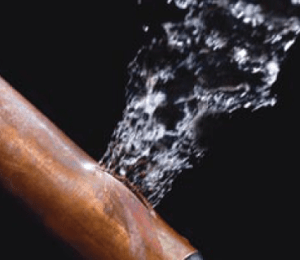 UKDN Waterflow > News > Burst pipe or sewerage back up in your home? What would you do? 1 in 8 homes in the UK is likely to suffer a burst pipe or water leak this year. Water leaks can be very costly for homeowners especially when it causes damage to the properties structure, fixtures and fittings, furnishings. That’s why if you’ve ever had a water leak you’ll know that sense of panic running through your body – finding and getting to the stopcock, and then trying to turn the water off before too much damage is done. UKDN Waterflow recommends fitting a water switch. Powered by water – no batteries or electricity required – they are unaffected by limescale and can be fitted within an hour. A water switch makes it easy to quickly turn off your water supply. You can turn off the water not only in an emergency but every time you leave your home. It’s as easy as turning the lights off, but leaves your home protected. Another issue for UK homeowners is sewerage back up, which is one of the main causes for flooding in properties. This involves foul water backing up and entering the home via toilets, plug holes, waste pipes and other underground entry points. Our recommended solution is simple, innovative and cost effective. By fitting a Non-return valve, homeowners can instantly eliminate such ongoing flooding issues. In times of flood, the non-return valve creates a seal to ensure that foul water is unable to travel up pipes and cause havoc inside the property. The device will simply push into current pipework and can be fitted above and below the ground, which is far more cost effective than to sink a new manhole outside the property and fit non-return valves to eliminate the possibility, this can be very expensive. However, the fitting of these valves have a useful additional benefit, stopping bad smells and rats from entering a property via the sewers.